Pop-Up Busses Are A Thing, And Guess Who Agrees? 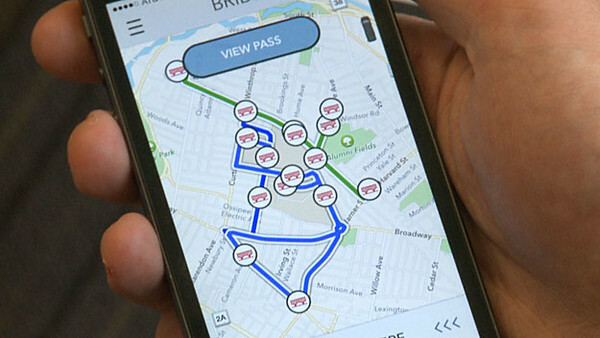 An urban technology company called Bridj has been operating a limited service, on-demand, private bus service in select Boston and Washington, DC neighborhoods for the past few years. 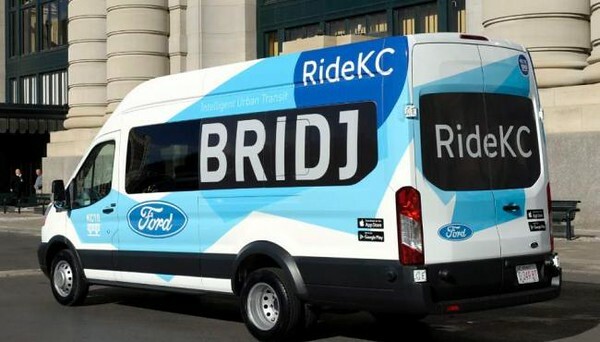 Now they have teamed up with the Kansas City Area Transportation Authority and Ford Motor Company to launch a one-year pilot program called Ride KC: Bridj. Ride KC: Bridj is built on Bridj’s existing private, ‘pop up bus’ service. As in Boston and Washington, DC, Bridj’s platform determines where riders want to go and how to get them there most efficiently. Using the Bridj mobile app, riders can request on-demand shuttle service that they can access via pop-up shuttle stations. 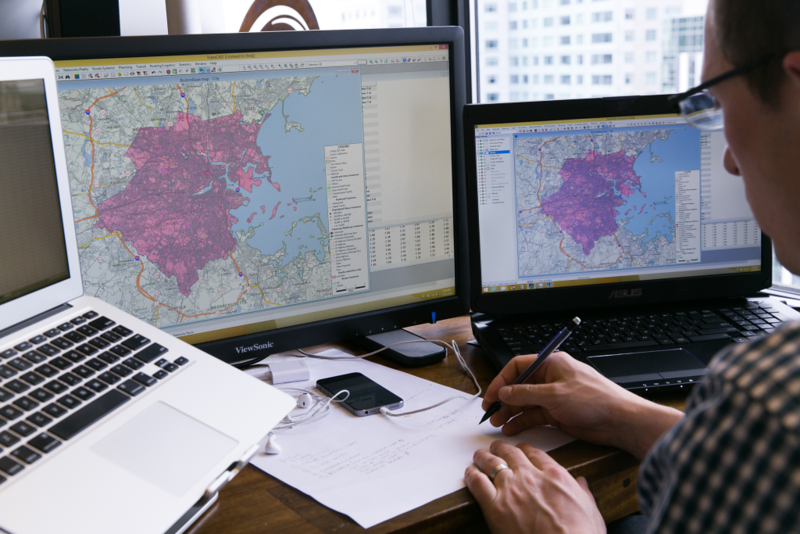 The company combines millions of data points with pattern learning in order to develop and deploy routes for their privately-operated fleet of ‘pop up busses’. Photo Credit: Bridj. Much like on demand ride hailing services like Lyft and Uber, Bridj uses mobile technology to connect with riders. Photo Credit: Bridj. Ten Ford Transit passenger vans, built at Kansas City Assembly Plant, serve as the exclusive vehicle provider for Ride KC: Bridj. Ford Motor Credit Company is supporting the one-year pilot with financing through its municipal lease finance program. Photo Credit: Bridj. The one-year pilot program will initially include downtown Kansas City, the near east and west sides, Hospital Hill, Crown Center, portions of Midtown, University of Kansas Medical Center, and the Historic 18th and Vine Jazz district. It will serve as a gateway to other forms of transit as many pick-up locations will be at bus stops and areas served by existing Kansas City transit and bike-share systems. Additional routes will be added based on rider demand as identified through Bridj technology.